​Why not treat your partner to a truly special occasion by taking a few minutes to complete our online booking form and get your free limousine quotation. 1. Give your partner your full attention. No need to waste time driving, parking and worrying about the route to your destination. By arranging to be chauffeured in one of our luxury limousines for the night, you can focus your attention on the one that matters. 2. Have a great time in luxury. 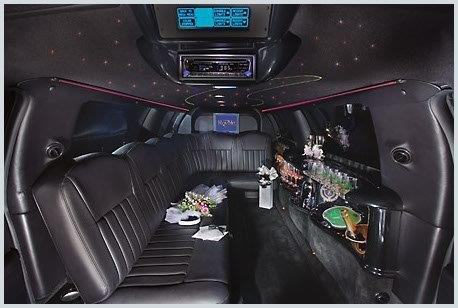 Set the mood for the night by traveling in one of our up-market and sumptuous limousines. Enjoy a drink from the bar while listening to some soothing music and reclining in the soft leather upholstery. 3. Catering to your every need. Our professional and highly experienced chauffeur will arrive punctually to convey you to the place of your choice. Whether you are simply going out to a restaurant and home again, or making a night of it at multiple venues, your chauffeur will be on hand to take you wherever you desire. Just take a couple of minutes to complete the form above for anniversary limo in Bethesda or Rockville, or contact us at 301-825-8833.